Anyone tempted to treat it as such should think twice. In a disheartening decision, the US Supreme Court upheld Ohio's overly broad voter purge law Monday. The ruling means that eligible voters in the Buckeye State who may have missed a few elections could be kicked off the rolls and potentially find their voices silenced at the polls in November. Pushing people to the sidelines in their democracy is what caused voting rights groups to raise alarm about Ohio's controversial practice in the first place. It's wrong, and it shouldn't be allowed. But this week's ruling in the case of Husted v. A. Philip Randolph Institute does not give states carte blanche to begin aggressively purging voters. Anyone tempted to treat it as such should think twice. Currently, Ohio is one of only six states where, if you fail to vote in a federal election, officials can send a mailer to your house saying the state thinks you've moved away. (The other five are Georgia, Oklahoma, Oregon, Pennsylvania and West Virginia.) If you don't respond, and then don't vote or engage in other election activity for two federal elections, you're booted off the registration list. Anyone who's ever had to (or decided to) miss an election for one reason or another knows you shouldn't infer that someone has moved just because they didn't vote once. Fortunately, Ohio is so far the only state that sends such a mailer after a voter misses just one election cycle. 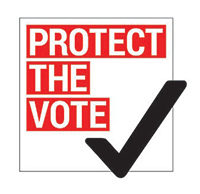 We opposed this Ohio practice because we believed -- and still do -- that initiating removal from voter lists because someone missed one federal election risks deleting too many eligible voters from registration lists. Even conservative Justice Samuel Alito wrote that upholding the legality of Ohio's purge doesn't necessarily mean it's "a wise policy judgment." The National Voter Registration Act, the federal law under which Ohio's statute was challenged, is designed to protect voters against unreasonable voter purges. Also known as "motor voter," this set of federal protections remains the law of the land, and includes key safeguards that states must continue to follow. While the court wasn't persuaded by the argument that Ohio's rules broke federal law, the majority opinion also made it clear that states do need to follow the protections to voters guaranteed under federal law when they think a voter has moved, including sending a mailer, then waiting two federal election cycles before removing someone from a registration list. Our fear is this aspect of the ruling will be ignored by zealots in the "voter fraud" fantasy realm, who will decide to use the Husted decision to justify more draconian purges around the country. That would be an inaccurate reading of Monday's decision, and we'll be ready to stand up for voters if they try. Take what happened last week in Indiana, where a judge blocked the state's purge law before it could go into effect. In that case, we filed a lawsuit on behalf of the Indiana chapters of the NAACP and League of Women Voters, arguing that the Hoosier State was improperly using a multistate voter database system called Crosscheck -- which is championed by Kansas Secretary of State Kris Kobach (chairman of Trump's defunct voter fraud commission and a known proponent of the myth of widespread voter fraud). In theory Crosscheck seems like a fine idea: States come together to see if there are duplicate names among registration lists. But in reality, the system has bad data and uses inaccurate processes that often generate false positives. That means Crosscheck might tell you voters have moved out of your state when they haven't. Even so, Indiana altogether eliminated the mailer and subsequent waiting period for voters that was crucial to the Supreme Court's ruling that Ohio's policy is legal. The court's decision Monday may have been a win for the state of Ohio -- and perhaps for the Department of Justice, which switched sides after 2016 and backed Ohio. But the Supreme Court also confirmed some real limits against bad purges. And we'll continue to put jurisdictions on notice that Husted is not a green light to purge the rolls with reckless abandon. It is, however, a clarion call that our movement needs to double down on vigilance in the face of voter suppression.